Well, the summer holidays are finally here! All my plans of being super organised by the time school broke up went out of the window but I don’t care. I’m just really glad that I’ve got my girls back to myself. We are all exhausted and in desperate need of some beach relaxation – Not too long now! 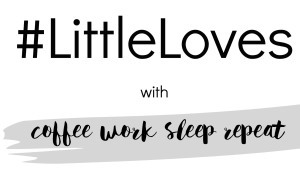 Here’s a look at our #LittleLoves for over the past fortnight – What we have been up to and what we have been loving. I finished the Tumbling Turner Sisters that I talked about last time and really enjoyed it after a fairly slow start. Set in the early 1900s, the Turner family fall on hard times as the Father injures his hand and cannot work. Desperate times lead to the Turner sister performing a tumbling act, touring around the vaudeville theatres. We follow their story as they live life on the road, leaving their Dad behind. There’s great tales of relationships between performers, some romance and even some danger. 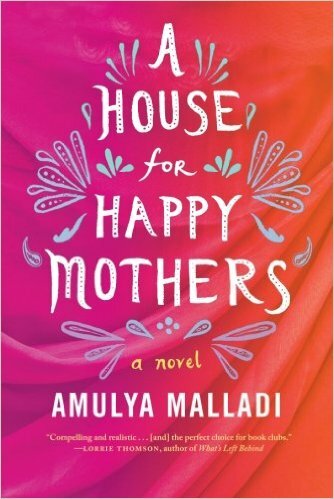 I’m now onto The House for Happy Mothers (Amulya Malady) which I have been sent through the NetGalley Advanced Reader review programme. I’m only 10% of the way through but know this will be a much quicker read. Just need a second to read it in! Violet has moved onto the Dork Diaries series and Millie has started David Walliams’ The World’s Worst Children. I hope that isn’t an omen for their behaviour for the rest of the school holidays! I’m planning on a huge binge watch of loads of programmes this week whilst ironing for the hols. So many people tell me to just iron as we need the clothes on holiday but I just can’t – I have to have everything perfect before we go. An iron does not feature in my holiday whatsoever! I caught the beginning of Making of a Murderer last week on Netflix (I’ve discovered I can watch Netflix when I’m poolside which sort of transforms my whole weekend). Once again, I missed this when everyone else was talking about it but was hooked straightaway – Slightly more sinister than I usually watch and definitely not one for with the kids I fear. We are gearing up for Zootropolis being released on DVD on Monday – We need recommendations for other films to download for our huge journeys down through France over the summer so hit me with them! I’m smack in the middle of my sister’s wedding cake for August but obviously cannot show you any progress so far – Trust me, it will be worth waiting for! 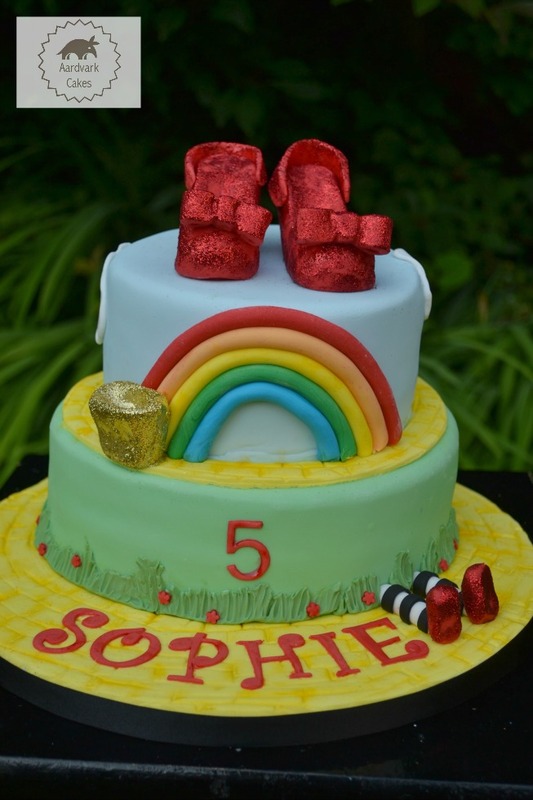 I had a really fun order last week – I love anything Wizard of Oz so relished getting creative with this cake for 5 year old Sophie. The ruby slippers are made from marzipan as they hold their shape better than icing. My favourite bit was the Wicked Witch’s legs popping out from the bottom of the cake. Made me smile! The summer stuff has finally made an appearance! I have to be honest and admit I’ve done quite a bit of shopping over the past week – A lot of my clothes are more suited to winter so sale shopping had to be done! 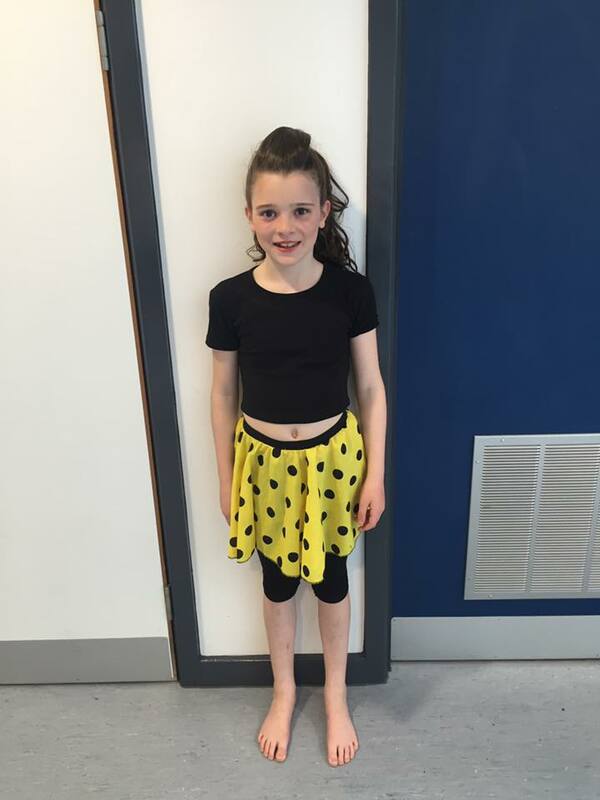 Violet did amazingly well in her dance show – She loved being able to dress up for her Reet Petite dance in the cutest outfit. In fact, I’ve spent a lot of time this fortnight involved with dance outfits as we have also had Tap & Modern exams to contend with too! Millie left her school on Wednesday so we have had the ceremonial binning of that school uniform – Even if Violet does end up going to that school, there’s no chance that she would be wearing cast offs from her sister – they were threadbare! I knew the summer holidays had started when all 3 girls had binned their school shoes within half an hour of being home! Sooo much tap music! Even after Vi’s exam had taken place, she still insists on playing that CD and tapping away! We have a 14yo in the family this week! Quite a quiet birthday considering some of the previous years but hopefully a happy one – Poor Millie didn’t even get a cake as we were due to receive one to review. Unfortunately, we were let down – I’ll make it up to you, Millie – I promise! I leave you with a picture of Tara and her friends on their first and last day in nursery. 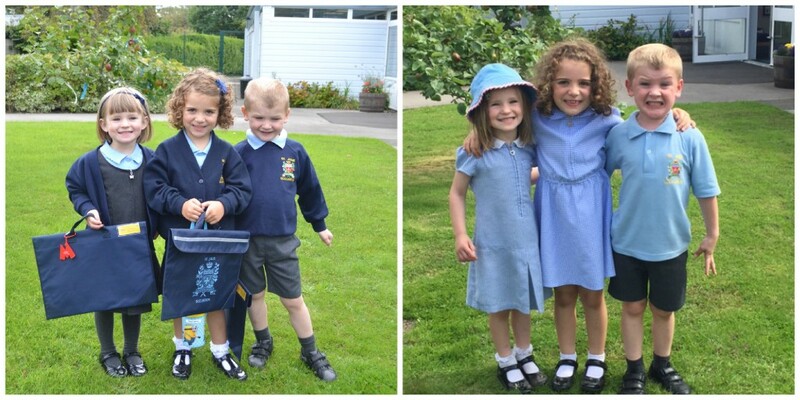 It has honestly been the quickest school year ever – I cannot believe how much they have grown! Wow, that cake is amazing. Very talented! Haha I remember the start of the Summer holidays felt like paradise. I was all full of good intentions to get organised before the holidays but it never happened – in fact I think I’m even less organised now than I was last week! Whoops. Hope you enjoy that beach time! That cake looks phenomenal! I would love to be as creative as you, I am rubbish though – writing is pretty much the only thing I am good at haha! I keep meaning to give Making a Murderer a go seeing as there is so much hype surrounding it. Love the wizard of oz themed cake i used to love that film as a child and not watched it in years. I haven’t seen making a murderer yet but it’s on my list, shocking isn’t it! I’m even later than you to that game haha. Your cake is amazing btw, literally amazing! I love these posts and reading what’s going on in people’s lives! I got hooked on Making a Murder too, but it’s SO frustrating!! I LOVED Making A Mrurderer. I can’t wait until the new episodes come on Netflix. Oh wow I never knew you were so talented at making cakes, how do you find the time to create such beautiful, creative cakes. I have to start changing out my wardrobe too. It got super hot all of the sudden. We watched Making a Murderer too and it was upsetting to watch but still a very good series. I still really need to finish making a murderer, but I fear it will just make me super angry. That cake is adorable and I agree, those little witch legs poking out are really funny! I love that cake! -those glittery shoes are absolutely fantastic!! OMG that cake looks amazing, well done. I’d love to hear more about the competition for shoes.